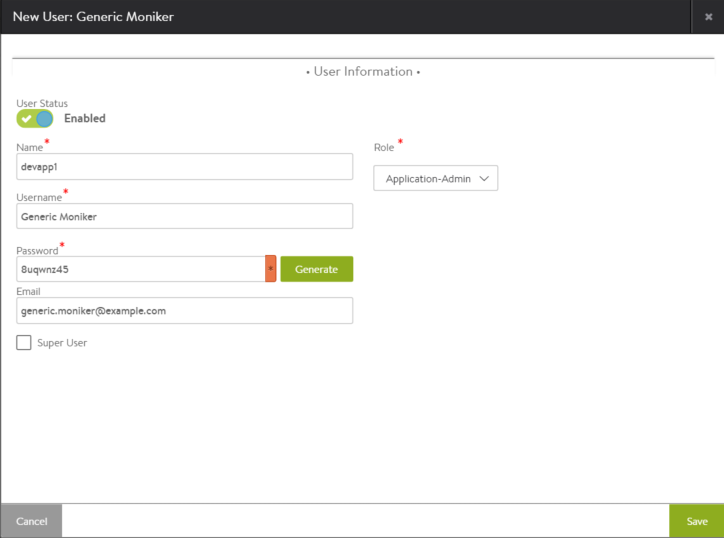 Role – Access settings (write, read, or no access) for each type of resource within Vantage. Role – Areas of the Avi Vantage system to which the user account will be allowed access. For each system area, the role defines whether the user account has read, write, or no access. Vantage comes with predefined roles. In addition, users who have write access to the Accounts section of Avi Vantage can customize the predefined roles and create new roles. See Roles. * If the user will need to have the same privileges as the admin account, select the Super User checkbox. * Click on Save.